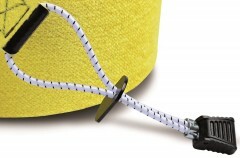 The Kohla race tips are a full-featured combo of bungees, rivets, stoppers, metal crimps, and plastic end caps. Cut and fold some skin over the bungees. Punch or drill some holes and hammer the rivets in place. Adjust the stoppers for you desired tip offset, and crimp them in place. Finally, place the plastic end caps to give yourself enough to grab and trim off the excess bungee. Voila! Race skin. 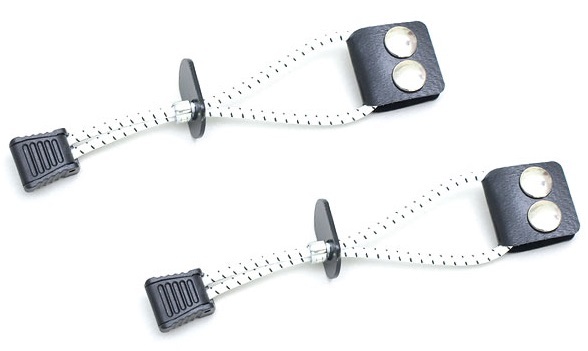 They also come with PVC reinforcements to prevent the bungee from ripping through the skin (or to fix one if it did already). Sold as a set with enough hardware to complete 2 individual skins. I feel vindicated now in my prior approval of these since so far I've seen them on skins or kits from four different brands (Kohla, La Sportiva, Pomoca, Hagan). 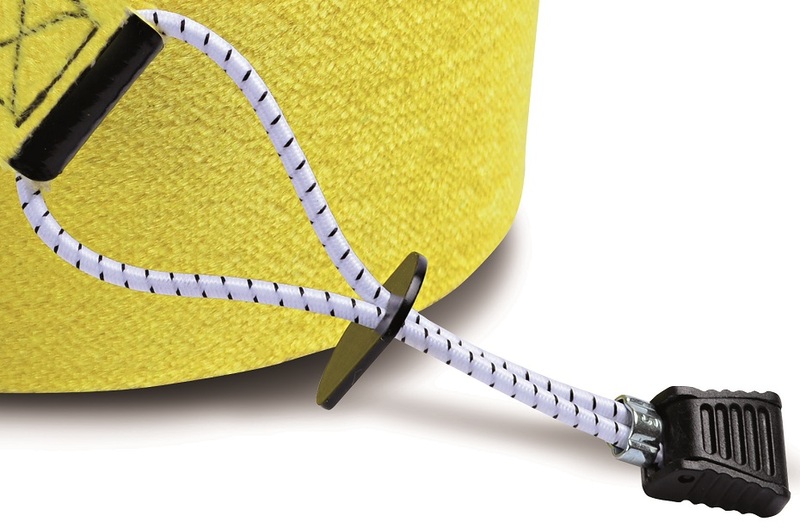 Bungee weight/elasticity is just right, grabber is the perfect size, length adjustment is a nice bonus, and crimping adjustment for the stopper's attachment point if you want to get really picky. Only drawback is that I'm somewhat dubious of the rivets, so get a Speedy Stitcher Sewing awl, which will come in handy for other projects too.